Travelling to the Bahamas is one of the most popular vacation ideas for people in the USA. Its proximity to Florida, as well as the mesmerizing turquoise water and white sandy beaches, make the Bahamas the ideal tropical destination. Booking charter flights to Bahamas is undoubtedly the very best way to travel, particularly if you book private charter flights with Bahamas Air Tours. The beauty of the Bahamas is best-viewed from the skies. Soaring above the crystalline ocean and gemlike islands, you will find yourself awestruck by the vistas that are laid out before you. With over 700 islands to discover, the Bahamas is a vacation destination that goes hand in hand with charter flights. Charter flights make touring these islands exceptionally convenient, and more memorable, taking you to more remote destinations and allowing you to explore the authentic and untouched beauty of the Bahamian Out Islands. Naturally, if you’re to book a private plane charter, your experience will be enhanced by a number of premium additions! Commercial Airline plane travel often comes along with a series of inconveniences, and generally prove to be relatively uncomfortable. Standing in endless boarding queues, dealing with rigorous security checks and feeling overwhelmed by the stress of a rigid departure time are problems of the past when you book a private plane charter with Bahamas Air Tours. Booking a trip with Bahamas Air Tours will show you just how to charter a plane. Whether you’re on a day trip to the Bahamas, or an overnight tour with your luggage packed, your pickup will be an absolute breeze. All of these small conveniences on private charter flights are nothing in the face of the fact that you won’t even need to travel to an international airport to visit the Bahamas. If you live in Southern Florida, you will be collected from your nearest airfield, airport or landing strip, reducing your travel time even further! Flights will also depart at your request. What all of this means for you is that you’ll be able to make the utmost of your trip, with minimal time spent in transit, and maximum time spent touring the islands of the Bahamas. How Much is it to Charter a Plane? 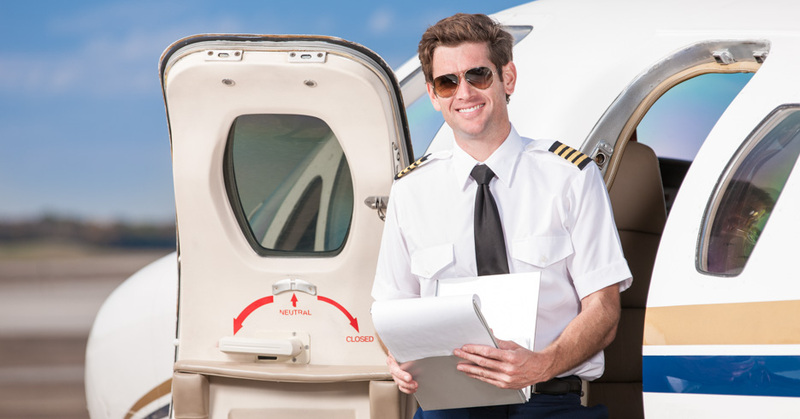 Many people ask “how much is it to charter a plane?”, particularly when considering booking private charter flights. Fortunately, private flights with Bahamas Air Tours can prove to be surprisingly cost-effective when you travel in a large group. There is nothing like going on vacation with all your friends and family, and if you ensure that everyone has a seat, a private air charter will make your tour an unforgettable one! Though all of us value the loved ones in our lives, many of us struggle to leave our furry friends at home when traveling. The very best part of a private charter with Bahamas Air Tours for the animal-lovers among us is that you will be able to bring along your pets and have them sit right by your side on the plane! There are no better means of travel to experience the Bahamas than aircraft charters with Bahamas Air Tours. Whether you choose to travel on a private tour or not, this unique experience will be one that you will never forget. Charter flights to Bahamas have never been so convenient! Florida to Bahamas flights on a commercial airline will only transport you to the capital city of Nassau, and then from there, you will need to book further flights to other main islands or boat tours to the nearby destinations. When booking charter flights with Bahamas Air Tours, not only do you ensure your means of arrival in the Bahamas, but also your entire tour throughout the islands. These comprehensive packages will take you to a range of different islands, no matter the size of the island or its distance from Nassau. This is all made possible by the fact that the Bahamas is one of the world’s most accessible archipelagos, with airstrips or airports on almost every single island. Most of these landing strips can’t cater to large aircraft, but the Bahamas Air Tours twin-engine Navajo Chieftain is accepted across the country and is actually one of the largest aircrafts welcomed to a number of the islands, including the jewel in the crown of the Bahamas: Staniel Cay. If your tour includes destinations like Big Major Cay and the famous Swimming Pigs, then even though the island itself doesn’t have an airstrip, the price of your trip with Bahamas Air Tours already has the boat trip from the nearby Staniel Cay island included! The answer to “how to charter a plane to the Bahamas” has never been so easy. Bahamas Air Tours offers a unique service that combines the beauty of the country with the convenience and speed of air travel to ensure that you don’t miss out on a single thing during your vacation. Charter plane flights will not only save you time by transporting you to each destination in the Bahamas but also because you won’t have to first land in Nassau before setting out. Nassau should serve as little more than a gateway to the true beauty of the Bahamas: the Out Islands. Fortunately, with Bahamas Air Tours, you won’t even need to stop in Nassau, and can instead be transported directly to the Out Islands. The reason that this time is so valuable is that the Bahamas has such a wide range of things to do and places to visit, and if you’re on a Miami air charter day trip, then you’ll want to make the most of your tour. Each island has its own distinct personality and offers unique attractions like beaches with pink sand on Harbour Island or the world’s second deepest blue hole on Long Island. Bahamas Air Tours ensures you visit as many of these marvelous destinations as possible for the tour that you’ve booked. If you’ve booked a private aircraft charter, then you’ll not only have the freedom to choose your destinations, but you’ll also be able to select your own schedule. This means that if you’re on an island that you want to explore more, you can stay for as long as you’d like, the plane will only set off once everyone in your group is ready. Florida to Bahamas flights on a charter plane will take you to some of the world’s most extraordinarily beautiful destinations. While Miami air charters are undoubtedly better than booking with a commercial airline, there is no experience quite so luxurious, unique or convenient as private charter flights. Bahamas Air Tours offers a selection of different packages and tours ranging from day trips to 7-day tours of the country. Each of these packages can be upgraded to private charter flights, giving you access to all the additional features that a private tour will bring. Of course, determining whether you should book private charter flights or not will largely depend on the question of “how much is it to charter a plane?”. Well, as long as you can collect a large enough group of friends and family, then you will find that the price of private air charters is very affordable. Experiencing the Bahamas in all its magnificent glory is something that is best-enjoyed from the seat of a Bahamas Air Tours plane, through the largest windows of any commercial plane on earth. These tours combine the scenic nature of the Bahamas with all the exciting attractions and destinations on offer, transporting you to some of the world’s most beautiful beaches, fascinating historical sites, and culturally significant stops to provide you with a comprehensive tour of the Bahamas.